General Counsel Kerry led an offsite training for all of the attorneys at the Department of Commerce on September 22, 2010. 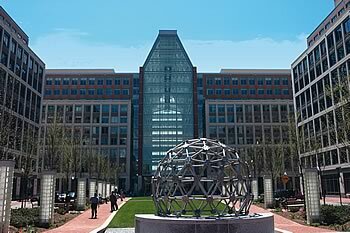 This training at the United States Patent and Trademark Office in Alexandria marks the third time the entire Office of General Counsel (OGC) has met as a group during his tenure. The meeting focused on two critical management priorities: collaboration and active client engagement. Much of the legal work in the office of the General Counsel cuts across the entire Department. The offsite was an excellent opportunity for attorneys to work collaboratively – breaking down the institutional barriers. Client engagement early in the development of a new project allows attorneys to provide timely, high quality legal advice that helps the bureau or Department achieve its goal. Make a lasting impact on rules for commerce that help restart and revitalize the economy and lay a foundation for sustainable US leadership in a global economy. Build a culture of excellence, service, and creative collaboration in the Office of General Counsel and across the Department. Support and protect the Administration and the Secretary of Commerce.